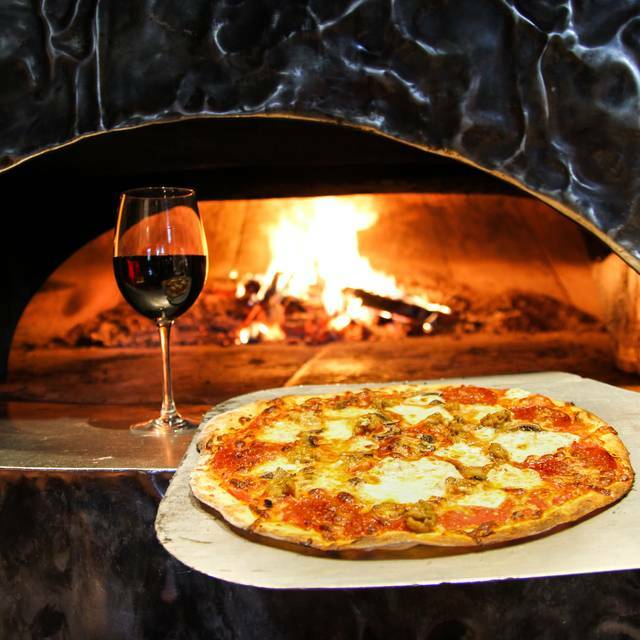 You must make reservations at least 5 minutes in advance of the time at Pazzaluna Urban Italian Restaurant & Bar. Curbside valet parking begins at 5:00pm nightly and guarantees effortless parking for guests. Valet space can be guaranteed and reserved for guests, subject to applicable charges. 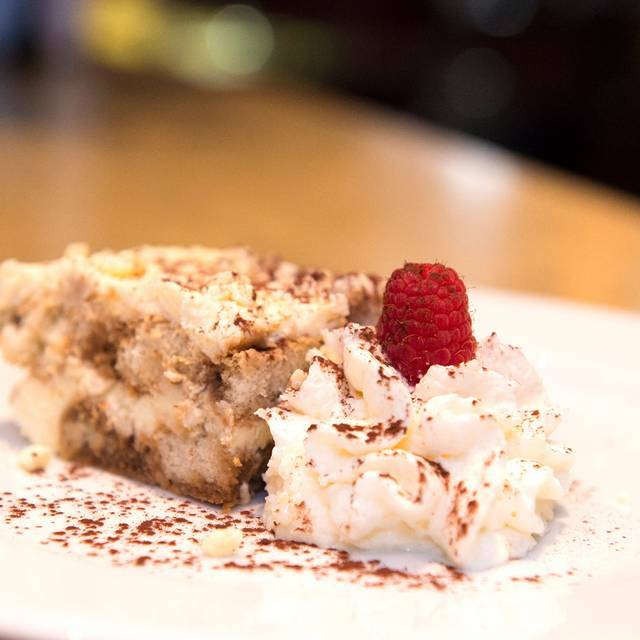 The award-winning and critically acclaimed Bar at Pazzaluna Urban Italian is an energetic and fun place to meet after work, before an event at the Ordway, Xcel Energy Center, Roy Wilkins Auditorium or just to unwind with family, friends, clients or business associates. During warm weather, relax on the patio and enjoy the sights and sounds of downtown Saint Paul (patio open May through September). See for yourself, you'll be glad you did. 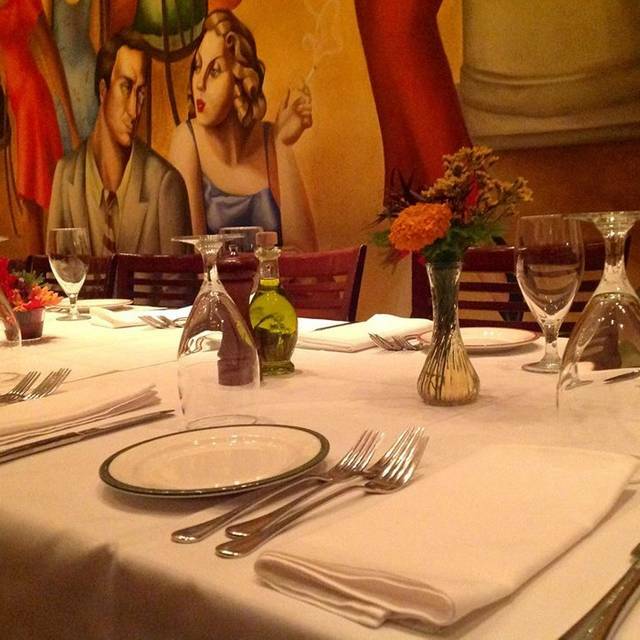 For business, pleasure, or both, Pazzaluna's private dining room is perfect for your events, private dining or special occasions. 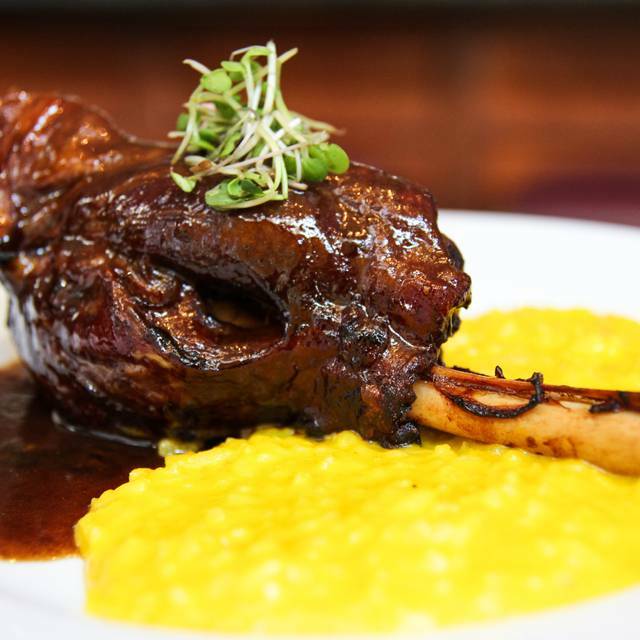 We offer menus featuring authentic regional Italian cooking. 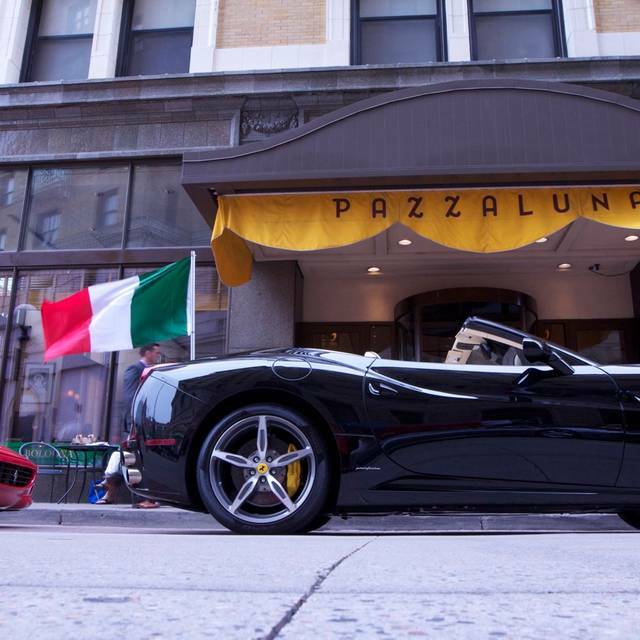 In Italy, every meal is a journey… the same is true at Pazzaluna. Start with appetizers featuring a selection of bruschetta and pizza straight from our wood-burning oven; then move on to a traditional Italian dinner menu of antipasto or insalata (salad), to primi piatto (pasta course), to secondi piatto (main course), and finally a delicious dolce (dessert). 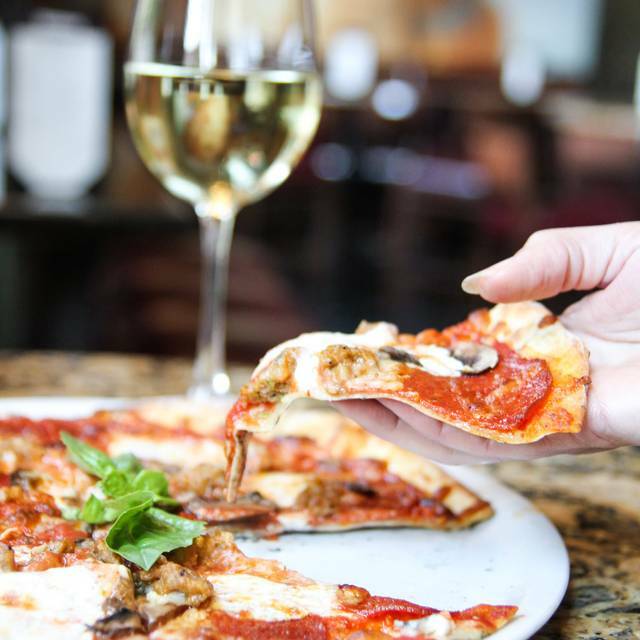 Discover the truly Italian art of lingering over dinner with family and friends, making conversation, and enjoying wine in a setting that is both urban and relaxing. During warm weather, relax on the patio and enjoy the sights and sounds of downtown St. Paul (patio open May through September). See for yourself, you'll be glad you did. It was a first time dining experience. Food and service was very good. Would recommend. Sea bass was very good and service was perfect! A very special birthday dinner for my daughter and family, plus one of us has a gluten allergy and there were delicious options for all of us. The food was excellent and the atmosphere pleasant. Some menu items were very pricey however there were a few options more reasonably priced. We always appreciate a restaurant that takes reservations so that we can better plan when we have somewhere we need to be following dinner. The food was delicious. The waitstaff was attentive and pleasant. Beautiful setting and lovely food! Fresh warm bread! All of our courses were delicious! Great food at a great price. Staff was friendly and very helpful. Pazzaluna never fails to DISAPPOINT. My wife and I have been here three times and I can honestly say that each time the service has been terrible...slow and inattentive. At least 15 minutes, if not more, before the server came to the table to take our drink orders....then another 15 minutes before we got the drinks. If the restaurant was crowded I could understand the delay. But the restaurant was virtually empty! And unfortunately, the food did not redeem the experience. No need to put ourselves through this again. Our first time there and am sorry didn’t get there sooner. The service was excellent and the food tasty. It was a fun and busy place but the acoustics were great! It was a bit pricey and the parking tough with $14 valet but we got a spot on the street. It was an easy walk to the Fitzgerald. We love the atmosphere here! The food is always good along with friendly servers. This time we were there for HH which was a cheap night out. We really enjoyed our pre-theater meal at Pazzaluna, on a Sunday evening. Food and service were both excellent. We especially enjoyed the seafood Fritto Misto and the Chicken and Saffron Risotto. House bread, with butter and tapenade, was also excellent. Great waiter and wonderful food. We will be back. Would dine with Curtis as our waiter time and time again!! Incredible food and wine! My husband loves octopus and he ordered the special. He said it was the best he has ever had and he travels around the world and has had it at many fine restaurants. There were several issues with our server (accidentally threw our order away, had an incorrect billing), but the food outweighed the issues. We would go back. Our waiter was great! Service was great! No complaints! We were celebrating a birthday dinner. There wasn’t valet outside, even after I called to make sure. However our waiter was incredible. He sold me on the specials and although he had a large table next to us, was very attentive to our table of two. Order appetizer . Waited 20 minutes to order entrees then we decided to leave. Before we got our bill we received bread basket. We made a reservation for a Friday night at 5:00 PM before a show at the Ordway, which I know is a very busy time. We were a few minutes late, but had called ahead to let them know and were seated without delay when we arrived. This was a relief and extremely pleasing to me. Our server, Jeanne, was warm and pleasant, and she took care to ask about the occasion for our visit. Her service, and recommendations for wine and entrees were impeccable. She is an asset to your restaurant! As always, our food was perfect. I had the salmon with Parmesan risotto, which I believe was prepared by angels in Heaven. My friend thoroughly enjoyed her complimentary birthday tiramisu, and the bananas Foster cheesecake was magical. Thank you Pazzaluna, for a dinner to dream about until my next visit. Would highly recommend this restaurant. We sat in a very nice corner booth in the bar area. Which in my mind was the best seat in the restaurant. Our waitress was excellent and the food was top notch. We started with the Brucetta with Burrata and for our dinners we had the Three Meat Cannelloni and the Veal Medallions. So glad we stumbled on this gem of a place. We are visiting from out of town; but if we lived here it would be one of our go to places. The experience was lovely, the food very good and there was no trouble hearing conversation at it table. The service was great, the food was amazing. 10/10 will recommend to a friend and return myself. The server warned us it would be loud until the hockey crowd left, and it was. Some folks could understand / hear the person across the table! But once they cleared out, it was much better. Food was excellent! Forgot how good the food was. Waitress made a mistake and charged us for a free antipasti, She was busy and was an honest mistake. Other than that she was great. Very nice wine list and waitress had a really good recommendation for us. Little noisy, but still fun. 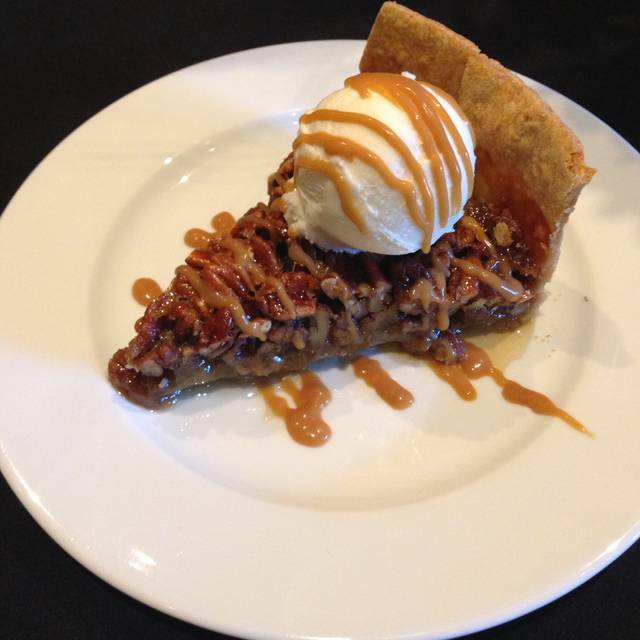 Pecan pie is the best. I did not the table we were seated at. In the hallway to and from the front doors. It was cold every time the doors opened. The booth was high backed, could not see any of the rest of the restaurant. We had made reservations. I would assume a better table would have made the dinner more enjoyable. My dinner was over cooked. We were compensated for it. Our favorite restaurant on the east side of the river. Food is prepared exactly as it should be. Antipasti case is fabulous. Cipollini and Papadews are not to be missed! And excellent service! They still do manager table touches! And at the end? Chocolate Versato. And yes, it is OK to lick the plate! we had a nice, cosy supper on a quiet evening in downtown st paul. service was prompt and polite. the food was tasty and well presented. the restaurant doesn't validate parking in the lawson ramp just across the street. We have been to Pazzaluna numerous times since it’s opening. We love the location and the energy. The food has always been above average to good. This time- Saturday- it was not acceptable. The server and front staff saved the night. The one dish was said to be spicy but 3 of us tasted it and found it inedible. My cannelloni was powdery tasting and not very flavorful. I think the white sauce was the problem. The chicken risotto was probably the best of the three but really nothing special. Somewhat dry and taste was boring. 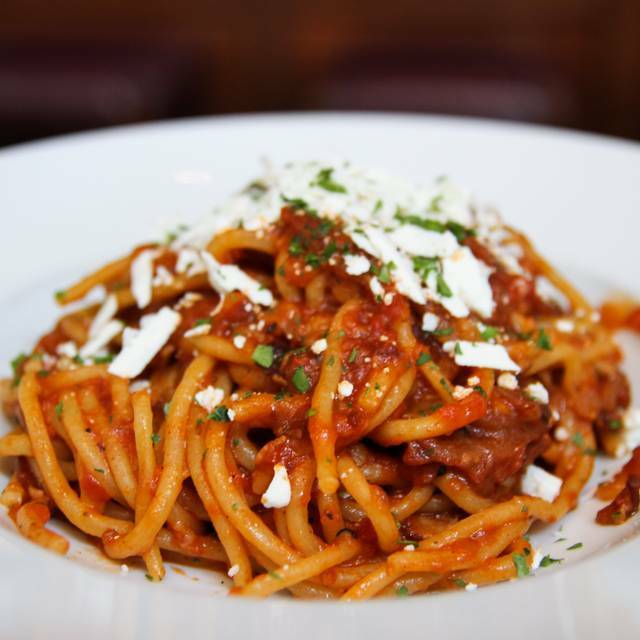 The server took the spicy pasta dish off the bill- thanks. We had a guest from out of town and were very disappointed. completely enjoyable experience, our favorite restaurant in the twin cities. Excellent food, service and ambiance . I ordered the Veal Medallions, and it was not veal, plain and simple. 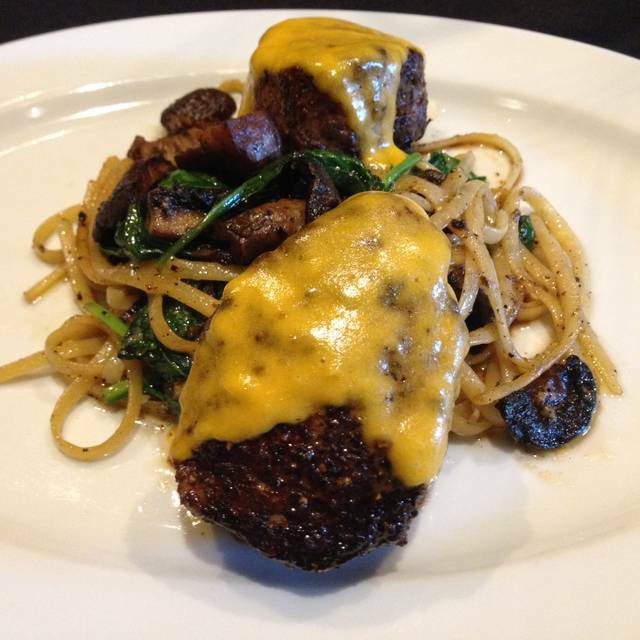 Veal is light toned, and creamy in flavor in texture. The beef they served instead was sirloin or at best strip, not medallions, but two 1.5 inch-thick squares. Bottom line, I received "ALL THE GUILT WITH NONE OF THE VEAL!" Not cool. Our party of five enjoyed a great evening dinner together. Wonderful waiter. Although the surroundings were loud, our round table in a good location gave us the setting for good conversation and celebration of a birthday and a wedding. Food was wonderful. We were very pleased with the service, and the food was excellent, as usual. It has been very busy and rather noisy when we have been there in the past, and this time was no different. While we had a bit of difficulty hearing each other's conversation, we realize that this is just a part of the atmosphere of a popular restaurant. Their consideration for our time schedule as well as saving our take-home was amazing service. We have been coming to Pazzaluna for pre-concert dinners for years, but now I think we are going to stop. The quality of the food has continued to trend downward to the point where now it is really downright almost without taste. This last time I had chicken marsala, which should be difficult to screw up. However, the chicken was, I hate to say it, chewy, dried up, and disgusting. Furthermore, it didn't even have a lemon taste to it. It was on a risotto bed of rice and was without taste. Previous visits have ended with similar results for the food quality. There was a time that I Ioved to order veal medallions, but they too had become "chewy", so I won't even venture to order them again. At the same time, the menu has contracted, the entree serving sizes have contracted, while the prices have risen. Sorry, this was my last attempt to eat at Pazzaluna. Really too bad! Upholstery torn on chair. Arugula wilted on $16 appetizer. Server co-opted by large party: didn't see her for the last half hour of our meal, so had to ask hostess to hunt her down. Then, she charged us for our desserts, when the classy and more long-sighted move would've been to comp them. Bottom line: overpriced, especially for quality of food and service, and kind of tacky—won't be back, and will warn others away. Celebrated a 50th birthday party, and our server, Patty, was phenomenal! Even lended her reading glasses to a member of our party who forgot hers and couldn't read the menu. The food was also fantastic and the drinks were excellent!